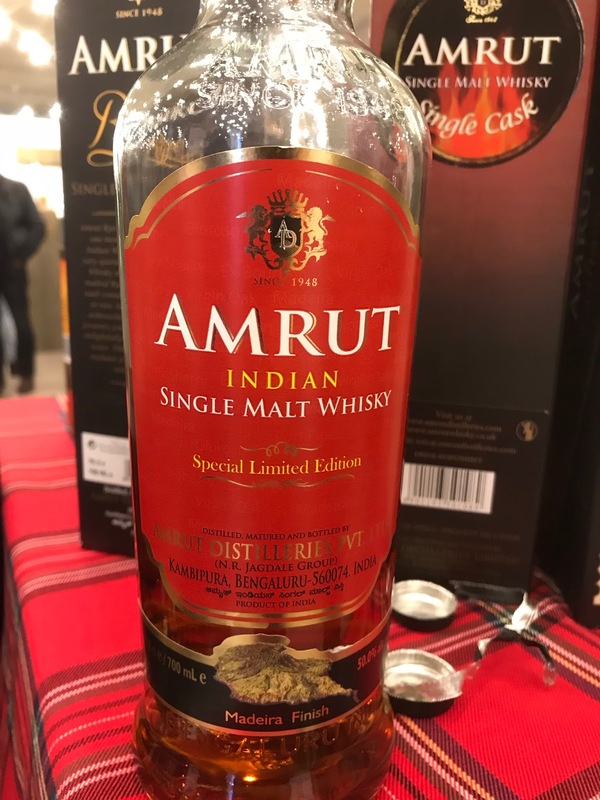 Amrut Indian single malt whisky is one that people do hype a little more than say Paul John. The Spectrum and Greedy Angels releases have gotten some big attention from people in the know, while certain single casks go for crazy money at auction. All good signs that the whisky is good stuff. Trying the Fusion, I learnt that that was for good reason. Its good whisky. And I had the chance to try two others; one new, one not so new but both good. Nose: Quite complex herbal and spicy. A little raisin and prune from the Madeira, orange and cut grass, cinnamon, coriander and cardamom, curry paste and spicy lime chutney. Develops well with shortbread and vanilla. 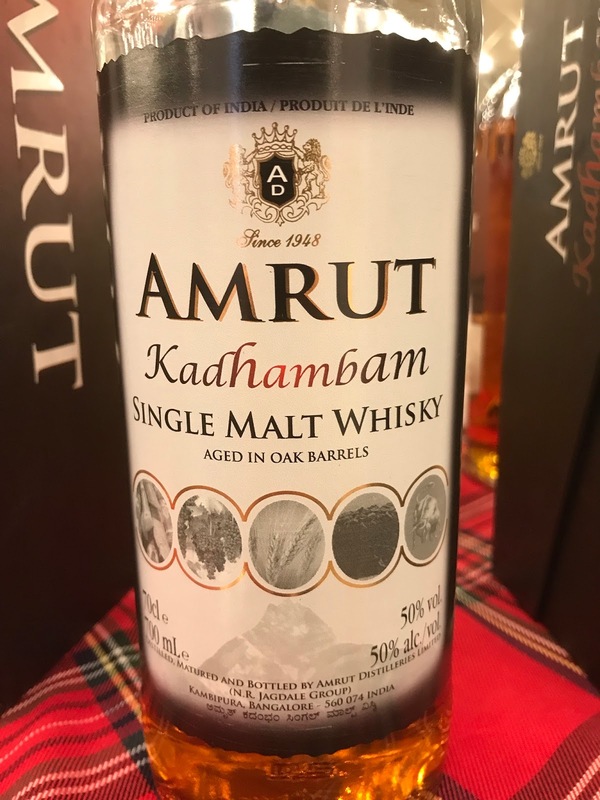 Taste: Dry arrival, plenty of very dry oak and spices, big cardamom and ginger, some orange coming in, big whisky, really mouth-filling, really dry. Finish: Medium/Long length. Dry and juicy somehow, orange and oak, some of the cardamom left. Very dry but very good. Nose is like you've gone for a curry! Quite expensive though. Nose: That same spicy lime chutney, complex with a really cool medicinal note, sage, almost earthy, black liquorice, faint orange peel, some raisin. Taste: Dry arrival and stays dry with lots of oak, then big notes of juicy orange, raisin, liquorice and curried lime, coriander and sage, moments of medicinal-ness. Finish: Medium length. More medicinal here, orange, ginger and earthy sage. Batch 5, a combination of Rum, Sherry and Brandy barrels (as stated three times in a row on the box…). 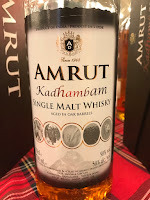 A really great whisky from Amrut, very impressed with this.